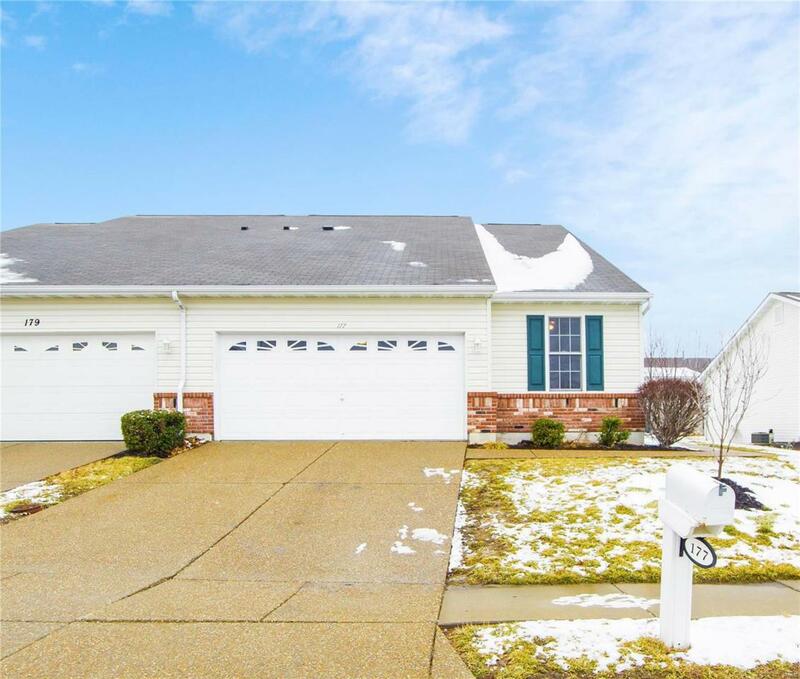 Enjoy carefree living in this Beautiful 3- bedroom 2 bath villa located within The Golf Club of Wentzville! This 2500 sq ft villa is within walking distance of the 18-hole golf course with beautiful walking trails throughout and a large subdivision pool! You will love the no maintenance lifestyle with this home that includes snow removal, exterior maintenance, lawn care and landscaping! Inside you are greeted with a spacious open floor plan that boasts vaulted ceilings and lots of natural light. Step out onto the deck and enjoy a lovely sunset! Enjoy ample space and hardwood floors in all 3 of the main level bedrooms including and ensuite & walk-in closet in the master bedroom. You will find plenty of extra space in the finished walk-out lower level with a potential 4th bedroom and an office/bonus room!